"Such a beautiful lady. We are so sorry to hear of..."
"so sorry for your loss Jeannette was one of the nicest..."
"My heartfelt sympathy goes out to your entire family. 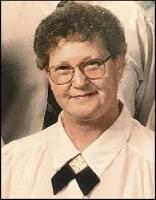 ..."
Jeannette Andring passed away Oct. 27, 2018 surrounded by her family at home. She was born the youngest of seven children, to Daniel and Esther Bottemiller on Dec. 24, 1935 in Ridgefield, WA. They moved to Vancouver in the late 40s and she graduated from Fort Vancouver High School in 1954. Jeannette married Don Andring on Feb. 25, 1955. She was active in PTA and was a volunteer at Doernbecher Children’s hospital. She then had a 25-year career as a Foodservice Manager with Vancouver Public Schools. She loved to travel by boat and on the road. Especially enjoying boat trips to Canada and numerous other trips with her husband and granddaughters. Trips to Alaska, Hawaii and the Caribbean were also favorites. Jeannette is survived by her husband of 63 years; sons, Boyd (Della) and Dale; five grandchildren, Alicia (Randy), Julia (Sean), Nadia, Michelle (Jerimi) and Bobby (Tammy); brothers, Forest (Doris) and Dean (Neva); and sister, Ina (Gene); and 6 great-grandchildren. She was preceded in death by her parents; brothers, Kurt and Jerry; sister, Elaine; and daughter-in-law, Joan. We want to especially thank caregiver Maddy Matteson for helping to take care of her for her last months, and Community Hospice for making her last days comfortable. The memorial ceremony and get together will be at Evergreen Memorial Gardens, Nov. 12, 2018 at 12:30.